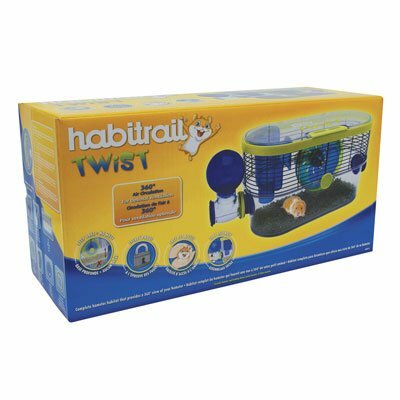 This Habitrail Twist is sure to make your hamster feel right at home! 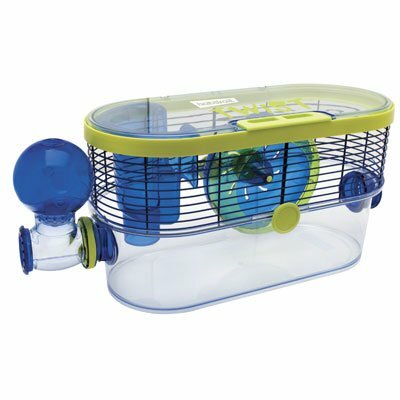 Unique in design, this hamster cage provides a 360º view of your hamster; the transparent components enable a clear view of your pet from all angles. This cage features an oversized transparent door, providing you with an aerial view of your pet and their habitat while the door fully opens for easy access to your pet and their feeding area. The feeding area is elevated to encourage your hamster to search for their meal, as well as helping keep the litter and waste away from their food. 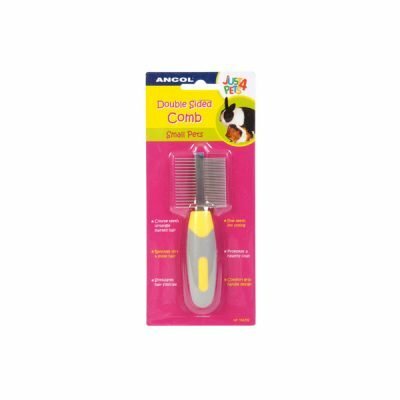 Easy to assemble, this hamster habitat has rounded corners to prevent gnawing, and also make cleaning a little easier. 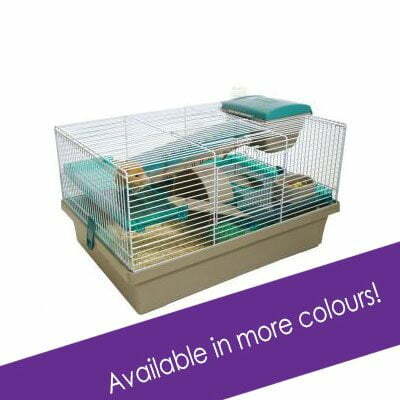 Escape proof, this cage has 360º air circulation for optimal ventilation and a deep base for no mess.